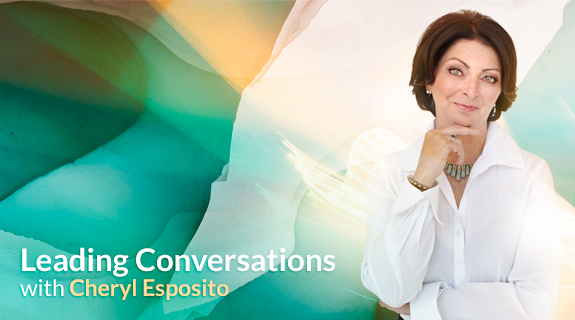 Cheryl Esposito welcomes Kute Blackson, a unique visionary in the world of human potential. His book You.Are.The.One. is a compassionate, no holds barred approach to living life as a bold adventure and on purpose. Who do you think you are? We’ve all heard this from someone chastising us for thinking big or questioning reality. Kute Blackson really wants to know your answer to this question. “Who you think you are” will shape the life you live. Kute’s vision: “Live the wild freefall that is life, with arms wide open, living each moment completely fresh, and alive. Pick up the instrument that is your heart and play it fully.” Kute Blackson comes from a long line of spiritual leaders and works with people from all walks of life, offering his own uniquely powerful process to transform lives from the inside out. We are living in amazing times of tremendous change. Old paradigms are collapsing. Old ways of doing things are no longer working. The world events are an urgent wake up call for us to reinvent ourselves, reconnect with what is important, realize who we truly are. Are you ready to live to create a life that is your masterpiece? Join Cheryl Esposito & Kute Blackson to begin your journey deep into the essence of YOU: You.Are.The.One.